The Traralgon Sports Stadium (TSS) will be redeveloped and expanded for multi-purpose use, allowing the centre to host large-scale events such as regional, national and international championships. A four-court extension to the existing stadium featuring a new show court with 3000 capacity spectator seating and associated amenities is the cornerstone of concept plans for the Catterick Crescent site. 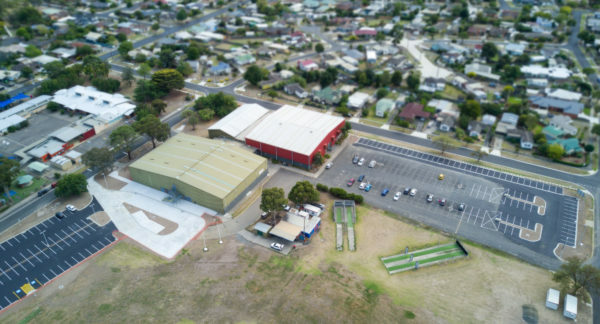 New courts will be constructed for netball, basketball, badminton and other indoor sports, including a new show court with spectator seating, in addition to an overhaul of the existing indoor stadium and administration areas. New concept plans for the TSS redevelopment have been made public and the design and construct tender for the project is now live. 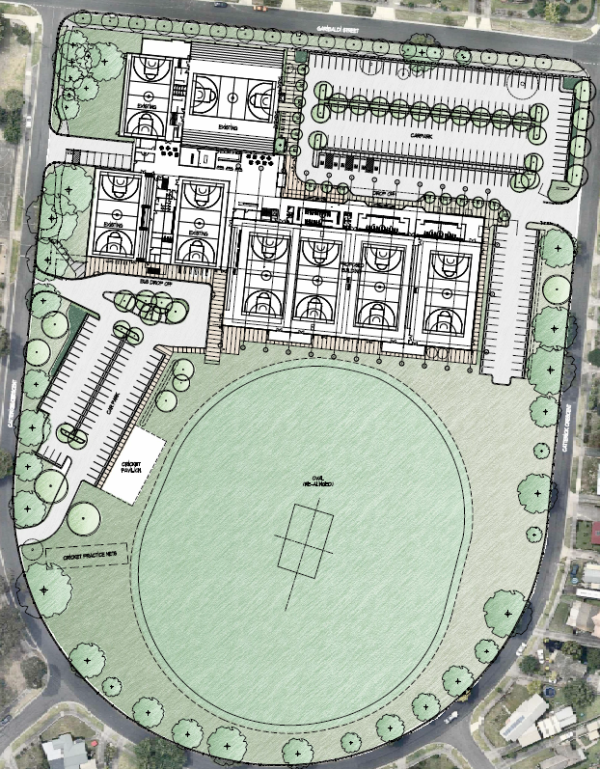 Construction is now underway on the Traralgon Sports Stadium redevelopment. Lead contractor Becon Constructions took control of the site on 18 March, following the completion of early works including an extension to the car park. A $2 million top-up from Sport and Recreation Victoria’s Community Sports Infrastructure loan scheme has brought the total funding for the centre up to $19 million, with plans to bring the centre to a total of eight compliant courts for local use and increase its ability to attract and host major events. A new cricket pavilion will also be developed to service the existing oval and the adjacent school facility for junior activities. GROW Gippsland and the Industry Capability Network have been engaged to ensure local sub contractors are used on the build. A Project Reference Group (PRG), including community representatives and user groups, has met regularly throughout the planning process and continues to act as a key consultation conduit between Council and community.